The Doctor of Audiology (AuD) program is administered through the Vanderbilt University School of Medicine. The program is a four-year post-baccalaureate degree which replaced the Master of Science degree as the requirement for the entry-level practitioner of audiology. In contrast, the Doctor of Philosophy (PhD) in Audiology is offered to students interested in becoming a teacher/investigator. At present, Vanderbilt’s AuD program is ranked #1 in the Nation by U.S. News and World Report. 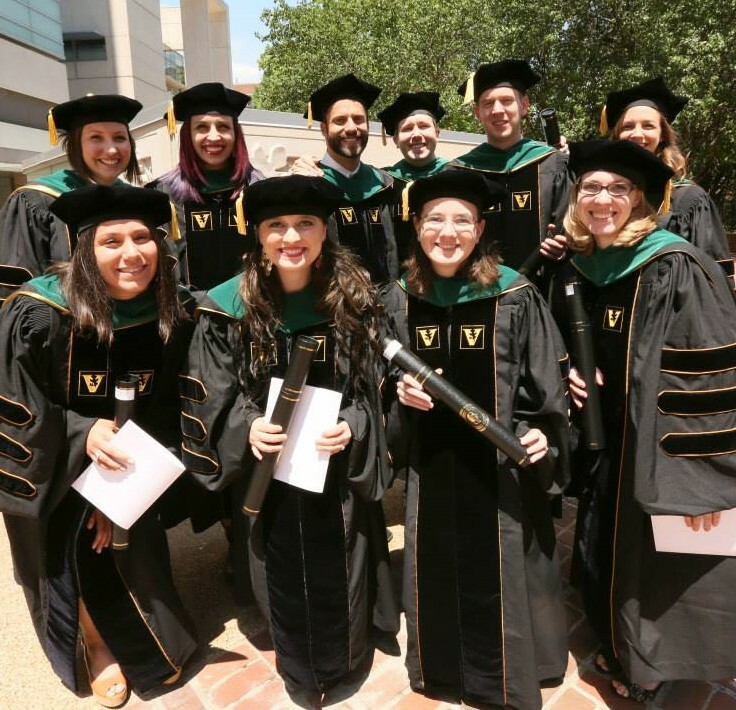 The Vanderbilt Audiology Program ensures that Vanderbilt continues to provide excellence in its efforts to meet the increasing national demand for high quality professionals educated in the profession of audiology and to contribute to the improvement of hearing healthcare. The program pursues excellence by recruiting the very best students, exposing these students to nationally recognized faculty, and offering them unique and varied clinical experiences and special research opportunities. Audiology is a relatively new healthcare profession concerned with the study, assessment and treatment of both normal and disordered hearing in children and adults. The term “audiologist” typically refers to a hearing healthcare professional involved in the prevention, identification, and evaluation of hearing disorders, the selection and evaluation of amplification and the habilitation/rehabilitation of individuals with hearing impairment.